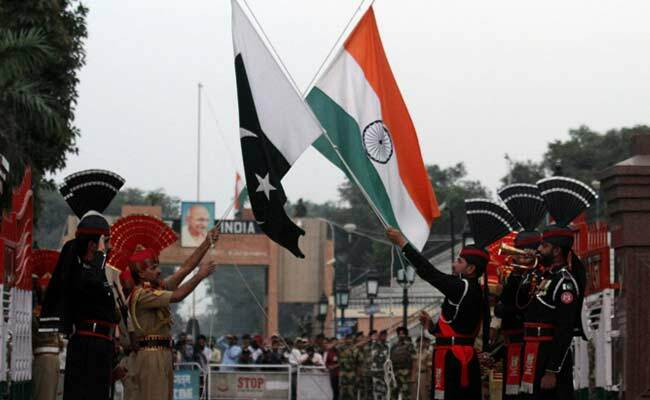 India has maintained that there is no role for a third party in resolving the Kashmir issue which Pakistan says is the "core issue" in the Indo-Pak relations. Islamabad: Pakistan Foreign Minister Khawaja Asif today said his country will welcome the US' mediation in easing tensions with India but is opposed to President Donald Trump's proposal to give a bigger role to New Delhi in war-torn Afghanistan. Addressing the media after the fourth round of Pakistan-US Track-II diplomatic talks here, Mr Asif said giving more role to India in Afghanistan would result in more chaos there. President Trump had sought bigger role for India in his new South Asia policy, but Pakistan is against giving India an expanded role in Afghanistan. The minister said that the US has assured Pakistan that New Delhi's role in Afghanistan will be limited to economic assistance only. "Pakistan welcomes mediation by the United States in easing its ties with India as Pakistan has always opted for comprehensive dialogue for peaceful neighbourhood," he said addressing the US-Pakistan Bilateral Dialogue - 'Convergence amid Divergence: Identifying Pathways to Cooperation in a Challenging Environment'. He also said that Afghanistan should deal with the issue of terrorists safe havens which are used to launch attack in Pakistan. The minister also emphasised that SAARC should be made active and steps be taken for promotion of regional trade as the region has long been suffering due to instability in Afghanistan. Mr Asif said Pakistan's effective counter-terrorism efforts have dismantled the surge of terrorist networks. He said that with self defence and self-interest being our first priority, we are fully committed to protect the sovereignty of our motherland. Mr Asif said Pakistan would not allow its soil to be used against any other country. In the era of challenging and complex international relations, states should focus on long-term partnerships and cooperation, he said. The minister said Pakistan has also reached out to other regional countries and regional fora like SAARC in its efforts for peace in Afghanistan. Stressing that intelligence sharing is imperative for improving border management with Afghanistan, Mr Asif said that the US should share timely intelligence and Pakistan will take action. "With peace and stability in Afghanistan as our ultimate goal, we have been and are ready to extend every possible cooperation to achieve that end," he said. Mr Asif also said it is unfair to blame Pakistan for whatever ails Afghanistan today as his country has eliminated terrorism from its soil after great sacrifices and now there are no terrorist safe havens here. Talking to media, the minister said differences in Pak-US bilateral relations were only misperceptions which are being put aside by continued dialogue. He said that the recent high-level exchanges between the two countries have cleared the air and "we look forward to confidence building to achieve the goal of peace in the region".